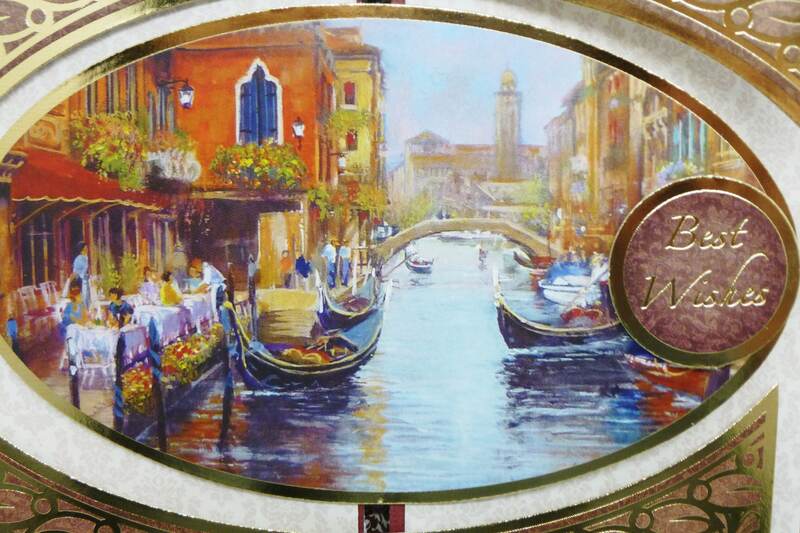 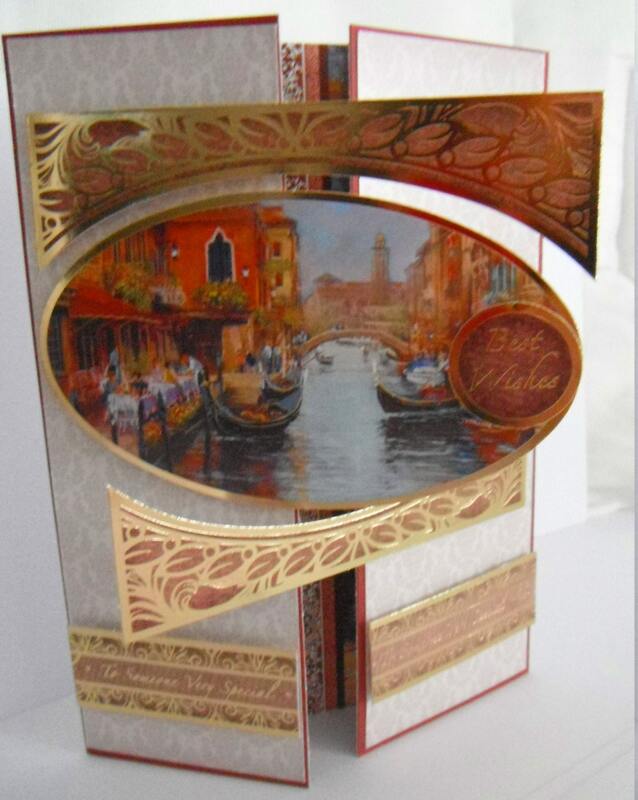 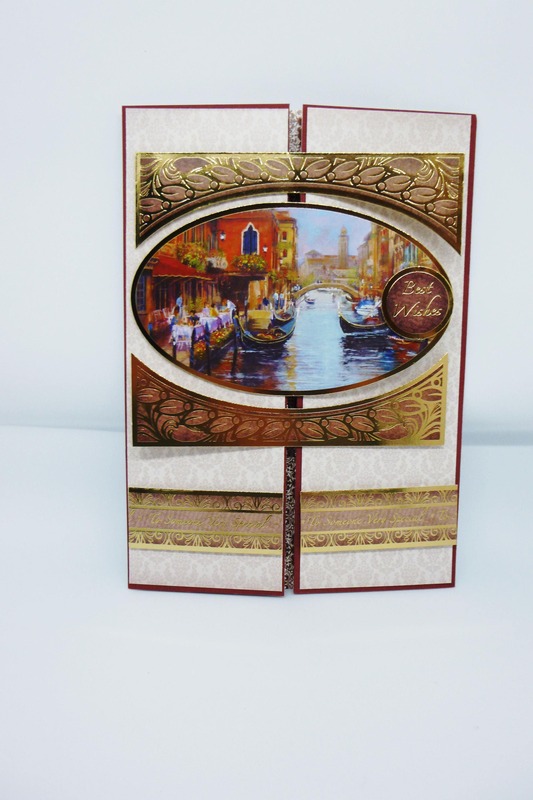 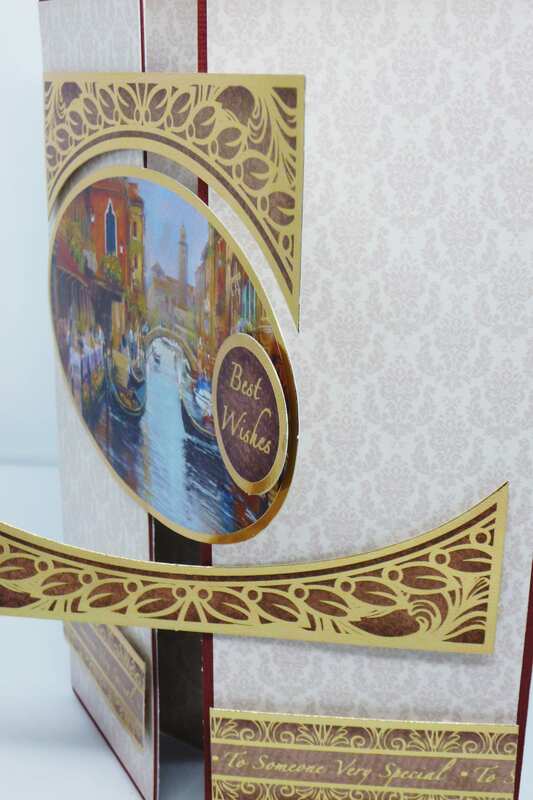 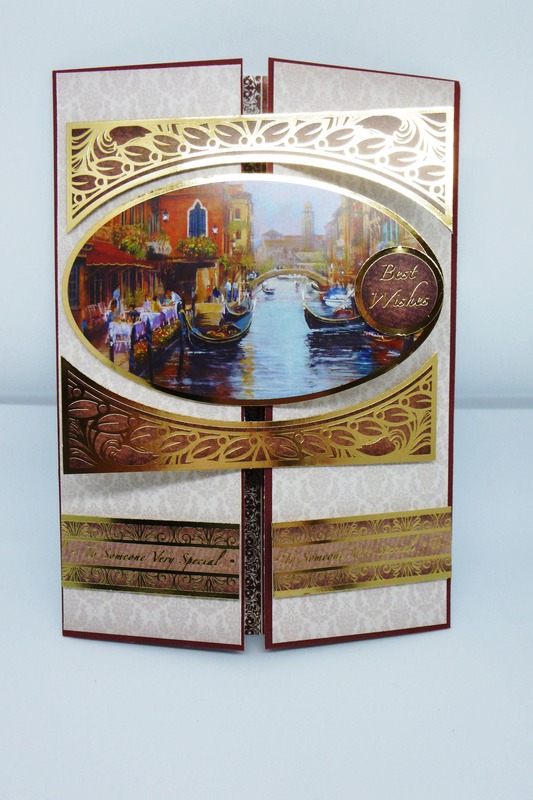 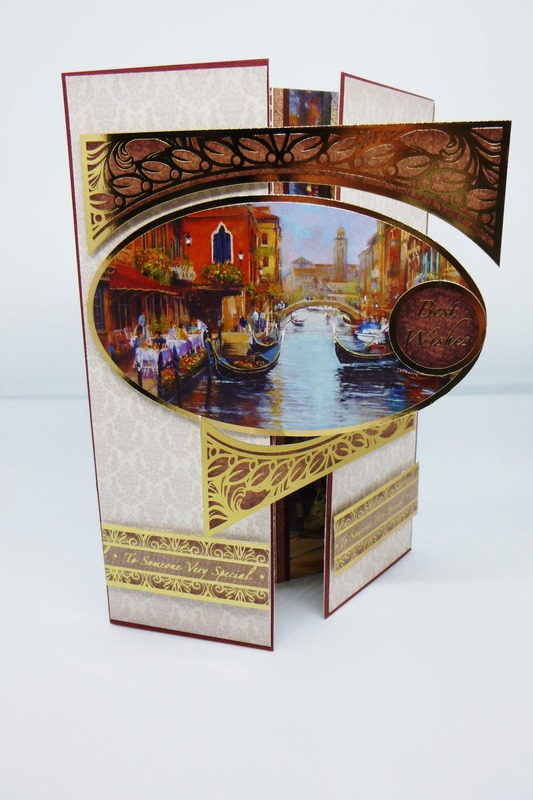 Handmade card, made with white base card gate fold style,maroon card with cream and brown patterened card, center picture of a ventetian water way, above and below the picture are two palmet style boarders, opening oposite to each other when the card is opened. 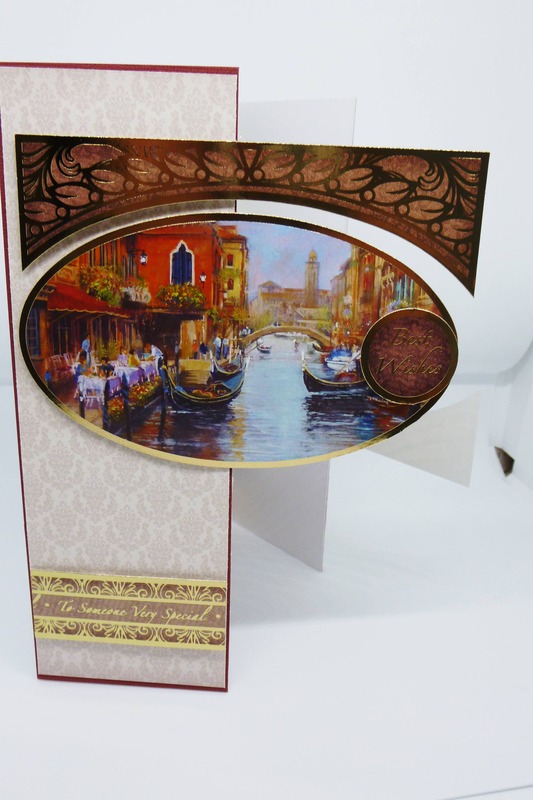 At the bottom of the card one on each side is a sentiment which says, 'To Someone Very Special.' 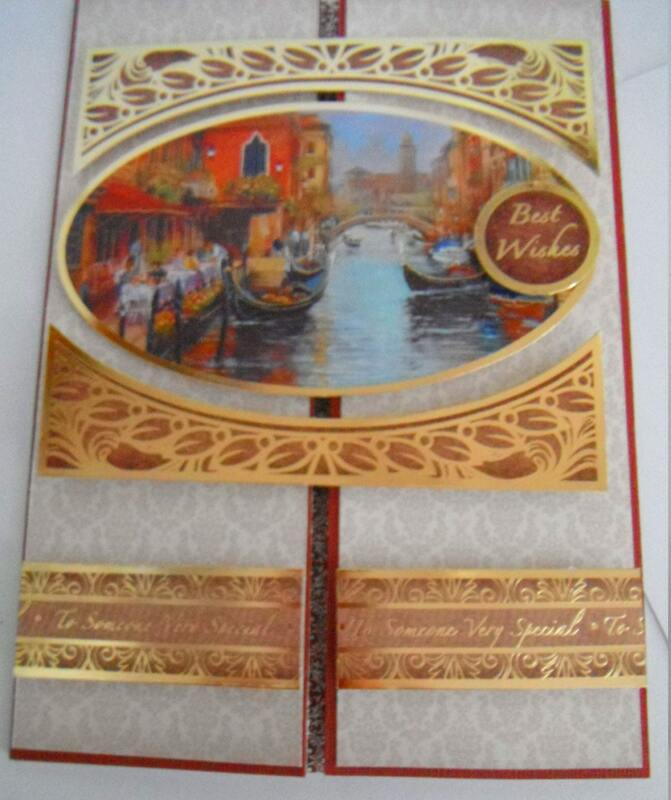 Then another sentiment which says 'Best Wishes'. 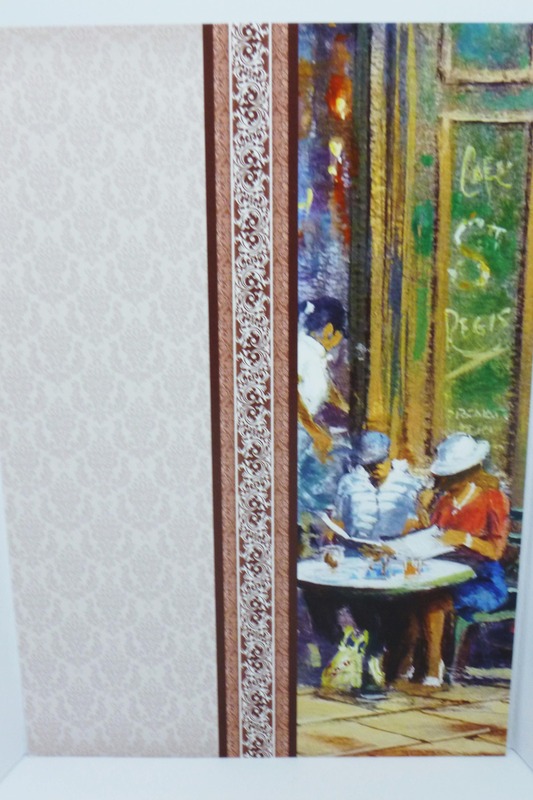 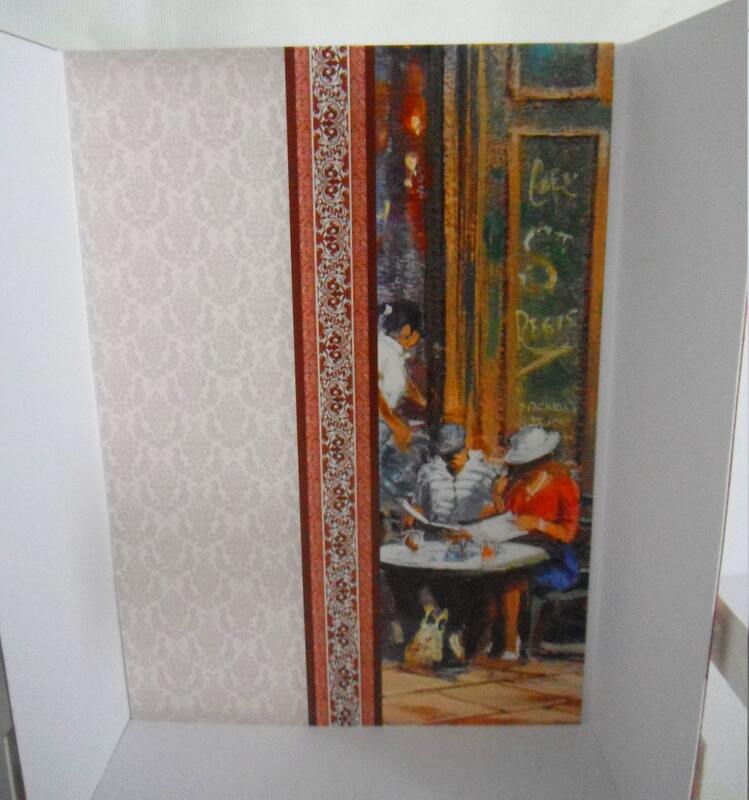 Inside the card is left blank but has patterned paper of a cafe scene.